Over the past couple months, Nintendo's My Nintendo service has been ever so slowly improving itself. The releases of Super Mario Run and Fire Emblem Heroes added more options to buy and spend coins and some of the deals have been a little more enticing. That being said, there's a lot of progress left to be made, but perhaps the latest update has covered a bit more ground in that regard. 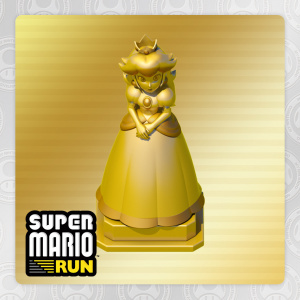 Not a ton of new stuff, then, but at least the Peach statue is kind of cool. Right? What do you think? Will you be picking up any of these? Do you think My Nintendo will pick up considerably with the Switch coming out? Drop us a comment in the section below. Finally a discount worth getting. Owned everything they were discounting that was any good. TMS#FE has been on my list for quite some time. So is the European update up - 4 "FE" games (Awakening, TMS, FE, Shadow Dragon), MK64, Super Mario Kart, Zero Time Dilemma, Noitu Love Devolution. Pfft. What a joke. I sent you guys an email about Yacht Club Games tweeting a reminder to pick up Shovel Knight while it's on sale, before it turns into Treasure Trove tomorrow, but somehow this is more worth typing an article about? @allav866 They post an article pretty much every time there are new My Nintendo rewards. It's practically a scheduled post. So don't take it too personally. @BAN Okay, but since when is My Nintendo worth making scheduled articles for? @allav866 Since some chaps across the pond decided it would be a good idea to run a Nintendo News Website. Weird, right, that they would post an update when Nintendo updates one of their services. @BAN Also, I'd maybe take it less personally if they reported on stuff I sent them, like Aonuma hinting at the possibility of DLC in BotW when interviewed by Jirard the Completionist. For me, it eased me into the idea of paying for more content in a main series Zelda game, so my reaction when it was revealed was more positive. Look at the negativity in the comments section for the article NL wrote on the official announcement. @SH007ME I'm not saying it's big news, but it's bigger than this tripe! And My Nintendo's still garbage, not at all surprised. It's cool that Nintendo is giving XCX and TMS#FE some attention by featuring them. They are both great games, but 140 GOLD coins is a lot to ask for for a small discount. XCX can be found in the clearance shelf at Walmart and Target already got rid of it last year from what I've read around the Internet. They should either lower the coin amount or raise the discount, or both. @allav866 I'm not saying it is or isn't "worth it", but nonetheless it's the type of thing you come across on gaming sites. There's not always an abundance of interesting/exciting news to write about, especially for a site with a focus on a single narrow subject such as Nintendo. So there's always a need for "fluff" or "filler" content. And also, some people actually appreciate being informed about things that others find rote or uninteresting. As for your tips being ignored, I don't know what to tell you. I've sent tips in the past that I found very interesting and they either ignored them or posted about it and left off the mention of my tip, or credited someone else. But I have no doubt that they have mountains of tips to dig through and there are only a handful of staffers to do it, so I don't take it personally. But that's just me. @gardevoir7 At least we got themes and two free games for the 3DS. All the Wii U got was the inferior version of DKC Returns. "Do you think My Nintendo will pick up considerably with the Switch coming out?" All I can say is, it had sure better! It's funny, I honestly never thought Nintendo would make a worse rewards program than Club Nintendo. Boy, was I wrong. @SH007ME Bought it on PSN and Steam today, though I probably will stick to the 3DS version once Specter of Torment is out, simply because my overall completion rate is highest on that system. Frustration can't even describe how I feel about this. Can I have Mario steal the statue away with a helicopter while Wario stamps his feet in anger? @allav866 lol that's the spirit! But yeah, I get what you mean. We got some rewards in uk too. That TMS: #FE discount is rather pointless when I could just buy it new at GameStop for even less. How about some actual freebies, My Nintendo? At this rate, Club Nintendo is looking like a better service, as they actually provided free game offers every month and some cool physical rewards, as limited as they were. Not yet available for Android, so what is the point? Got the TMS special edition so I won't be downloading, but that would certainly have sold me if I didn't have it yet. And I was waiting for a Xenoblade X discount for awhile, but ended up getting it used a couple months ago. Aside from that... 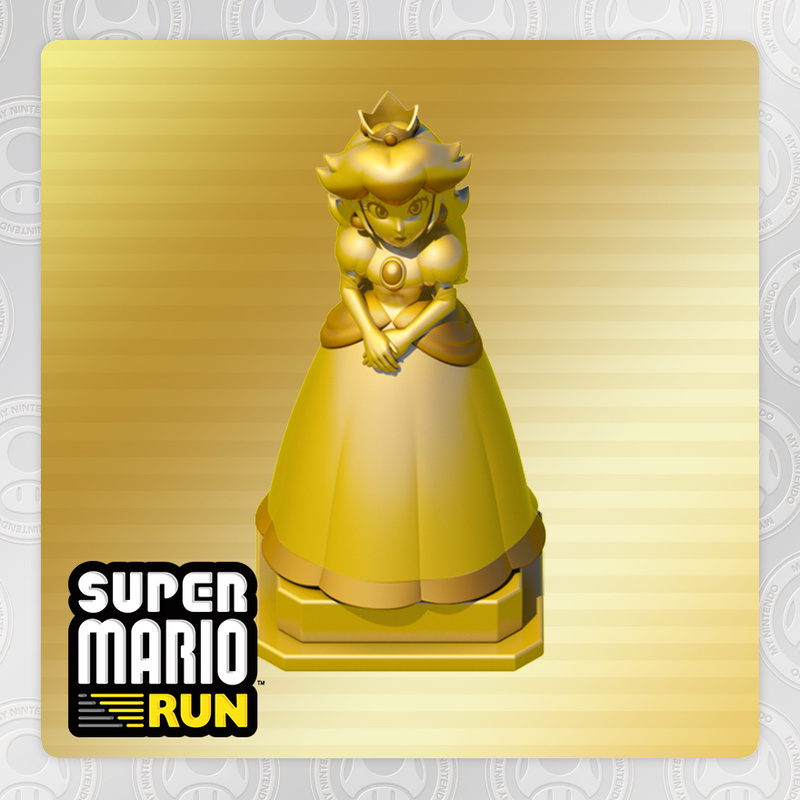 I guess I'll use some Mario Run coins for the statue. No-one does missed opportunity like Nintendo. I miss the physical items like Posters, Shirts and Cards I hope they bring them back . Why should anyone even bother collecting coins if we're -never- gonna actually be rewarded for it/be able to spend them? When I first thought maybe they'd have something at least worthwhile ready for the Switch launch(if just more to truly tempt you to spend them), I've held onto my coins so dang tight that you'd need the jaws of life to get them, and...yeah, still essentially nothing. I expected much, much more from My Nintendo. I have 230 gold coins and nothing to spend them on. I'd be okay with old games like WarioWare(wich I got), or some free Indies.. I hope my points don't expire until I buy my Nintendo Switch..
i thought that was a physical statue at first. oh well. I think it's pretty pathetic that they made such a big deal out of giving Club Nintendo the axe and swearing that this new program was going to be a lot better, only to find out it's actually much worse. I don't even bother with it anymore. Discounts on digital games? Really? That's the best you can do? I mean I don't want to sound entitled but the physical rewards were awesome. If you're going to do a rewards program at least put some effort into it, Nintendo. I'm going to be honest here: mynintendo is terrible. People complained about club nintendo but at least we got physical awards and games from time to time. Mynintendo has been underwhelming from day 1. Back to another month of waiting for Super Mario 64 to show up again. I finally accumulated enough coins months later. This reward system is just terrible. All my gold coins are going to expire because I'm just not interested in anything they ever put up. @Danrenfroe2016 that game is one of their best games that still makes a lot of money. If they had wanted to lower the prices Splatoon and Sm4sh would have been on the Nintendo selects line.